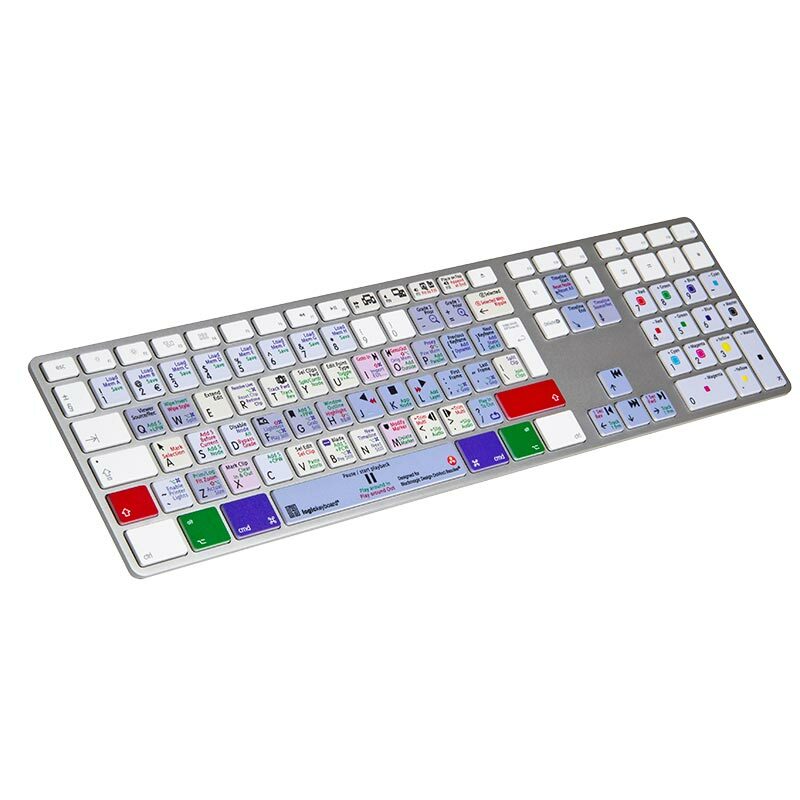 Logickeyboard custom keyboard for Blackmagic DaVinci Resolve v.11 / v.12 is based on the original Apple Pro Ultra Thin Alu keyboard. It offers plug-and-play setup with any current or recent USB-equipped Macintosh computer, with good feel and stylish, modern appearance that match the new Apple look. Colourists who work with DaVinci Resolve 11/12 demand a shortcut keyboard that delivers the same world-class performance as the industry’s most advanced colour correction program – and Logickeyboard delivers to you. The Mac OS X version of Blackmagic Design's DaVinci Resolve 11/12 is a low cost and high performance colour correction solution. DaVinci Resolve v.11 / v.12 has the power of a true real time performance solution and handles complex color grades even when using dozens of primaries, secondaries, Power Windows, multi point tracking, blurs, and more. The DaVinci Resolve shortcut keyboard mimics a conventional keyboard’s letter, number and symbol labelling, meaning it can be easily added to your computer for tandem use with your conventional keyboard, or as a substitute for it.